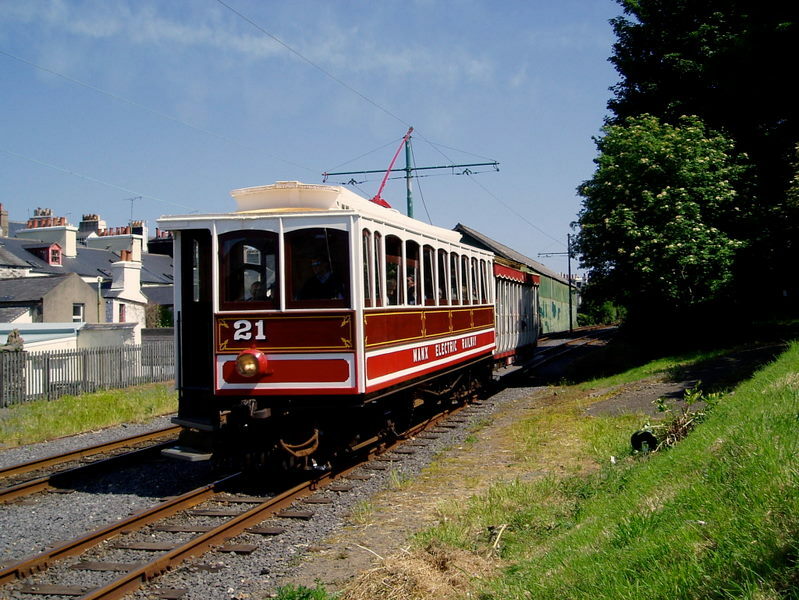 Car 25 was stripped of trucks and motors 2003 for fitting to the 'new' dedicated MER works car, now known as 34, but previously was the replica of Snaefell Mountain Railway car 7 'MARIA'. Some other rolling stock have had trcuks removed as part of the current overhaul programme. Cars 14, 15, 17, 18, 25, 27-31 are stored unserviceable on the Manx Electric Railway. 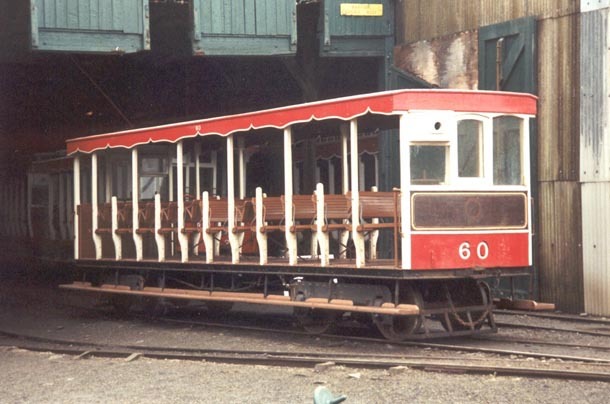 Trailers 36, 50, 53-55 are stored unserviceable on the Manx Electric Railway. 'Austere liveried' winter saloon 19 and 40's class trailer at Derby Castle on a hot summers day. Copyright © 2011 Manx Electric Railway Society. All rights reserved.